Ashfold was recently appointed for the project management of a mixed use development at Grosvenor Court on Wimbledon Hill. We are excited to be working with Hale Brown Architects on the project. We are also pleased to be working with Artem Korolev – whom many of you will know from Green Oak Real Estate – supporting the management and delivery of proposals on his new venture Mission Street. The prestigious new Anna Freud Centre, Wimbledon AELTC new centre court dressing rooms, Mama Mia! 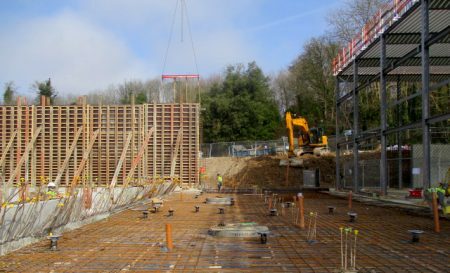 The Party temporary theatre venue, and a residential development in Brentwood are all onsite and scheduled to complete over the course of this year. Ashfold is providing a variety of support services on these projects and we look forward to sharing more details as each nears completion. If you would like to know more about our construction project management support services, please get in touch.